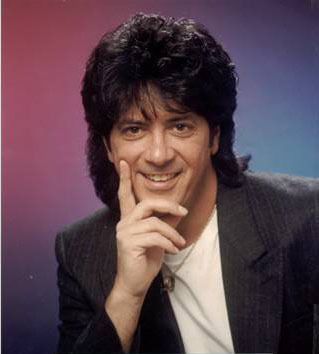 While nothing has been formally announced by his management or family, it appears that Sonny Geraci of the groups Climax and the Outsiders suffered a brain aneurysm last month and may still be in a coma. Hello everybody: I received news yesterday that our good friend, Sonny Geraci, lead singer of The Outsiders (Time Won't Let Me) and Climax (Precious and Few), had a brain aneurism Sunday and has been hospitalized since. I was told, as of yesterday he is unable to communicate. Please keep him in your prayers. Geraci was first a member of Cleveland's Outsiders who hit with Time Won't Let Me (1966/#5 Pop). In the early 70's, he moved to the group Climax and whose biggest hit was Precious and Few (1972/#3 Pop). I lost my mother at age 62 from the same illness. I wish him the best, and he and his family are in my prayers. Have not heard anything in a long time about Sonny. But I wish him the best. I loved him sooooo very much and hope all is well. I could listen to Precious & Few over & over again. Then followed by Life & Breath. I would love to have email conversation with him from Australia. Geraci worked for a window company after his Outsiders stint. He backdated the contract and ripped me off.